Spring is here and with this season comes all things LEMON!!! I love the taste and smell of lemons so much! 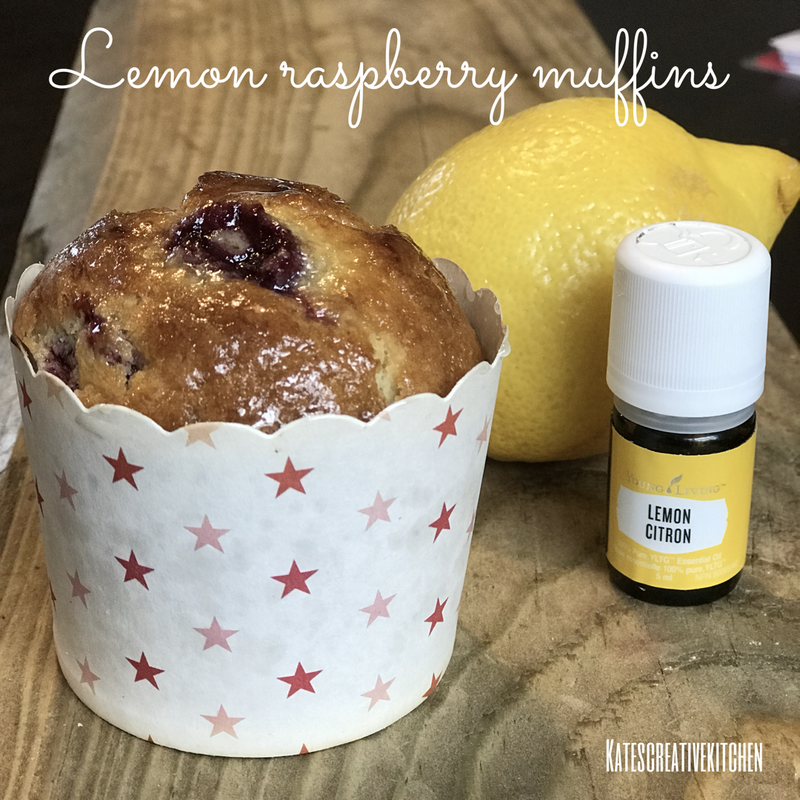 During this time of year I am always in the kitchen experimenting with every type of lemon baked good and I think this year I nailed the prefect muffin combination!!! I recently was gifted a Young Living Oil Starter kit and the addition of the lemon essential oil took the aroma and flavour over the top. 2. In a medium mixing bowl combine milk and the juice of a lemon and allow to sit for 5 minutes. Then mix in 2 eggs, zest of the lemon, essential oil, and oil. 3. In a large bowl combine dry ingredients: flour, sugar, baking powder and salt. 4. Stir wet ingredients into the dry ingredients, stirring just until moistened. Fold in the raspberries. 5. Line a muffin tin or grease it well and fill about 2/3 full. Bake for 18-20 minutes or until a toothpick inserted in the center comes out with few crumbs. Whisk together juice from a lemon with confectioners sugar until a desired consistency. Allow the muffins to cool for a few minutes before drizzling with glaze.